Santa’s travelling in time! (Even dinos need presents.) Can you find him, plus 700 other cool things to spot? 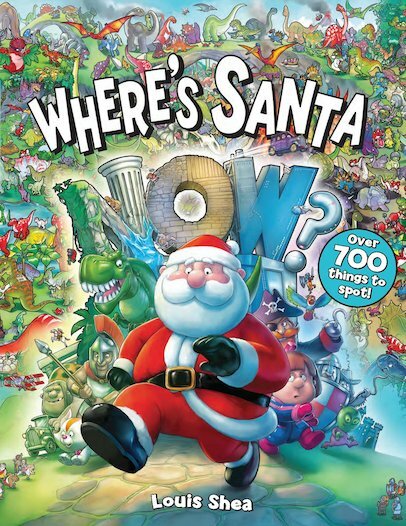 Chase this busy Santa through heaps of brilliantly detailed picture scenes that take you on a trip through time, from the Jurassic age to the faraway future. There will be dinosaurs, aliens, pirates and heaps of cheeky giggles. Luckily, though the world changes, Santa’s special job doesn’t! Can you spot Santa as he travels through time?